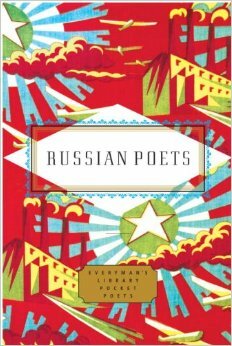 Why *is* it so difficult to read poetry?? I think there might be a number of reasons why I’m struggling, and one of the main ones is probably something that’s my fault. I’m a fast reader – too fast, I sometimes think, as I always seem to be wanting to finish a book, no matter how much I’m enjoying it, so I can get on to the next one. Poetry can’t be rushed like prose sometimes can; it needs to be read carefully and slowly to get the full meaning of the words and what’s behind them. 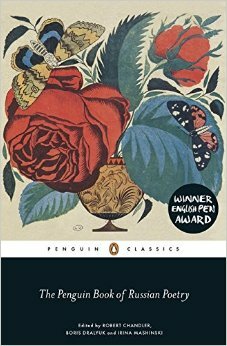 The other main issue is size – I’m thinking in particular of two poetry books which are lurking: The Complete Poems of Anne Sexton and a huge volume of the complete works of Georg Trakl which I bought on a whim after reading an intriguing article about him. 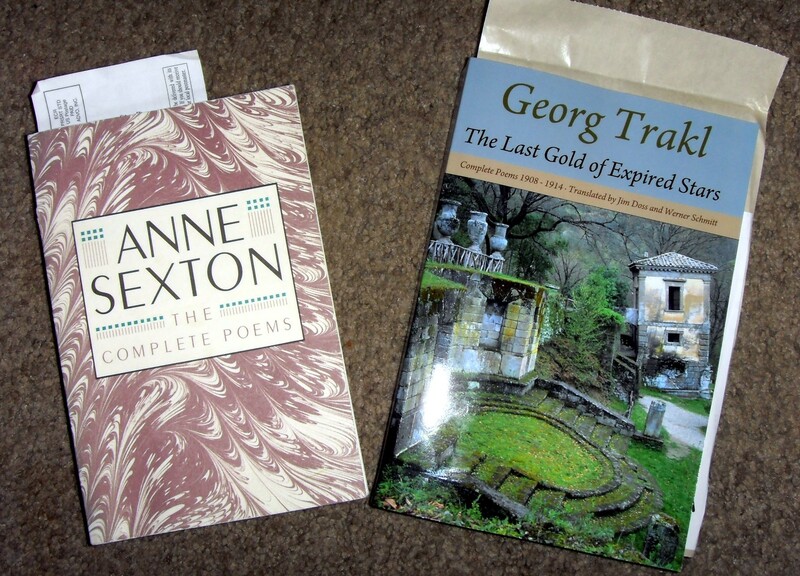 Both are authors I really want to read – Anne Sexton particularly, as she’s a poet that’s been on the periphery of my literary vision for decades and a visit to her work is long overdue. But both books are huge, and look as if they’d take days and days of reading carefully to get through. (Come to think of it, my Rimbaud and Baudelaire volumes are huge too, which is probably why they’re still mainly unread). However, casting my mind back to when I was reading lots of poetry in my twenties, I was reading slim Faber volumes of Plath and Hughes and the like. A small book of poems is not so intimidating – you can linger over each one and still feel like you’re making progress through the book. Conversely, these huge collected tomes, though a good way to acquire the works, are off-putting; you can’t read through the whole thing without committing to weeks of poetry and that’s *certainly* not a good way to experience it. So I think the answer is that I need to take the pressure off myself; read a poem or two when the mood takes me, and not worry about reading everything in one go or finishing the book to do a big review. And the Sexton is divided up into its originally published volumes, so marking each one off may be a way to handle it.